RecruitSure's Interview Manager will help you organise and manage your candidates and interview appointments easily and efficiently. 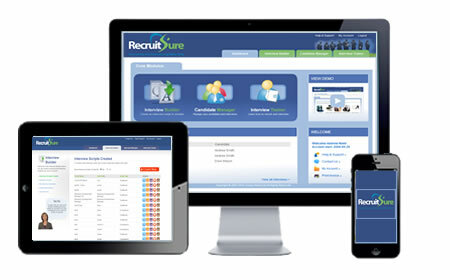 With RecruitSure's Interview Manager you can plan, organise and manage your interviews, vacancies and candidates easily and effectively. See all your upcoming interviews at a glance and with one click of your mouse access and print all the documents you need for the interview such as the Job Description, Candidate's CV and the Interview Script. Recruiting and interviewing can be a difficult and time consuming task and with the Interview Manager you can save time and effort. And by having all the information you need for the interview in one place and easy to access, you can be confident of being fully prepared for each interview.